Used BMW 3 Series Review - 2006-2013 | What Car? 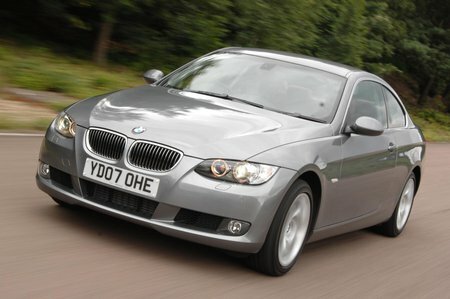 What's the used BMW 3 Series coupe like? The BMW 3 Series Coupe plays it safe. It takes the tried and tested formula of the excellent 3 Series saloon, and gives it a slightly sportier twist. The result is a car that's spacious and available with a wide range of engines – but that’s not that inspiring to look at. It's stunning to drive, though, with sharp steering, strong grip and great balance while cornering. The ride is on the firm side, which can be irritating on poor surfaces, but most of the time it's just about acceptable. Passengers should enjoy riding in the 3 Series Coupe, because it's refined and relatively free of road noise. There's enough leg room for four adults, but the sloping roofline does impinge on rear head room – those over six-foot will suffer. The boot is unusually spacious for a coupe, and the split-folding rear seats allow for oversized loads.